The wall of barrels, two-deep and floor-to-ceiling, that stretches along the length of the brewhouse captures the eyes of those walking through the Scorched Earth Brewing taproom doors. The tantalizing tower of aged beer induces salivation in a manner that would make Pavlov proud. 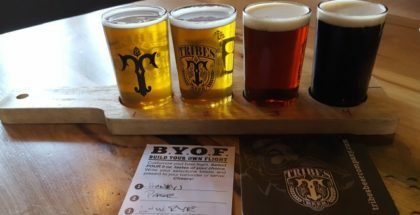 Still, the diverse beer menu and exceptionally warm, inviting taproom environment amounts to a brewery that is attractive to just about every type of beer drinker. Mike and Jennifer Dallas, Scorched Earth owners & founders, possess that stereotypical first-born drive, but don’t expect them to exhibit any cut-throat business attitudes or try to hit customers over the head with savvy marketing schemes. At Scorched Earth, quality beer production and a friendly atmosphere — and fun — take precedence. Sure, but how did Mike convince Jen that beer would make for a good business venture? With any business, there must be a discussion about location. 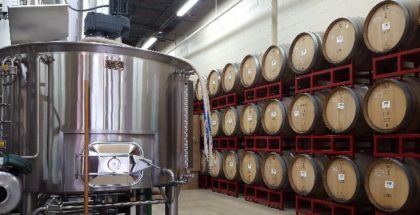 At the time they considered running a beer business, the couple had young kids and, after time spent away, had replanted their roots in their Algonquin home, a town on the northwestern edge of metro Chicago where suburbia slowly transitions to farmland. 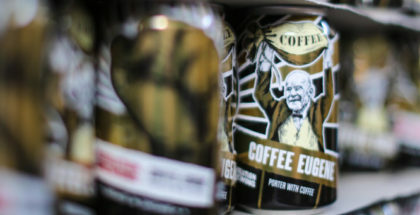 “The idea of brewing just clicked. It felt right. But, we knew, if we were going to do this, we wanted to do it at home,” noted Mike. The brewery, in turn, resembles that love of family and town. The welcoming nature of the taproom and the staff with whom patrons interact is striking. 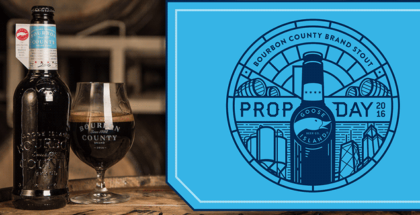 While profits are necessary to remain viable, there’s just something special about a brewery team that’s not necessarily chasing dollars, but instead pursues joy. The beauty of developing sours far removed from Chicago’s urban jungle lies in the abundance of readily available farm-to-brewhouse ingredients. For instance, Mike and Jen have access to their family vineyard. Fresh grapes = great flavor! Great beer, nearby farms and barrels offer the potential for spectacular brewing alchemy. Pick a number, any number. 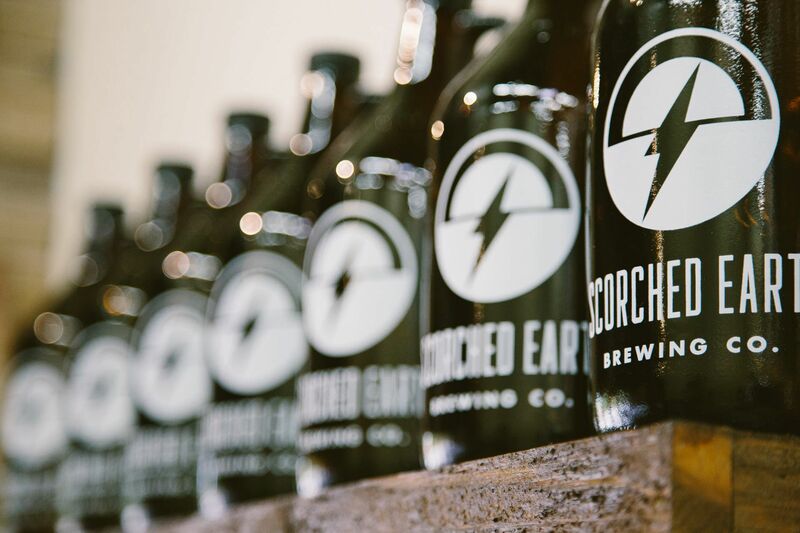 27, 51, 37….each barrel number represents a new creation emerging from the imaginative minds at Scorched Earth. Granted, some of the experimentation is due to the Scorched Crew’s humble admission that they haven’t quite mastered the souring craft…yet. So, each barrel is a new attempt at perfection, as well as finding a groove — trying to figure out what Scorched Earth does best. Fine, play around because if the wonderful beers I’ve tasted represent the brewery’s trial and error stage, I can only imagine what it will be like when it’s perfected. I’m already impressed with the sour program, so to track its upward trajectory towards sour nirvana is exceedingly exciting. BARREL #23: Brett Golden Ale with La Crescent & St. Pepin Grapes. BARREL #51: Old Bruit (Flemish-style brown ale) relying on mixed cultures of Saccharomyces, Brettanomyces, Pediococcus, and Lactobacillus. “We are just one of those places in the Northwest suburbs that are doing something a little different. People can know if they come here, they can drink something unique.” said Mike. Beyond sours, staple beers such as its Hickster, an exceptionally creamy, cream ale that’s fermented in an open fermenter and incorporates another easily accessible local ingredient – corn. Hickster, like many of its day-to-day and seasonal offerings, including a wickedly good Crypt Keeper Imperial Pumpkin Porter during the fall, demonstrate that it doesn’t take alchemy to wow beer drinkers. Of course, it should be noted that while Mike and Jen built the brewery based on Mike’s brewing obsession, it also became clear that to operate a beer business. Mike would have to relinquish some control by hiring a head brewer and assistants. Current head brewer, Mark, an award-winning home brewer (and a degreed Environmental Engineer, as well as a BJCP judge and graduate of the Intensive Brewing Science & Engineering program at the American Brewers Guild), first came on as an assistant. 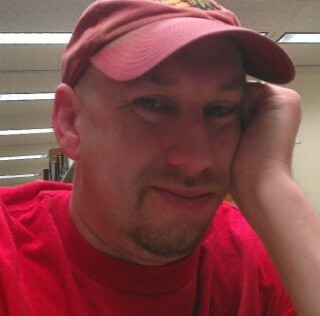 Mark saw a job posting for head brewer, but he knew he wasn’t yet qualified for that role. “I figured, I may not be able to do that but I’m going to send a resume and let them know that whatever they need, I can help out,” said Mark. In fact, he even presented his beer to Mike and Jen to prove himself. Indeed, Scorched Earth Brewing’s results at the 2017 Los Angeles International Beer Competition speak volumes about its quality.